Putt for Show. Drive for Dough. 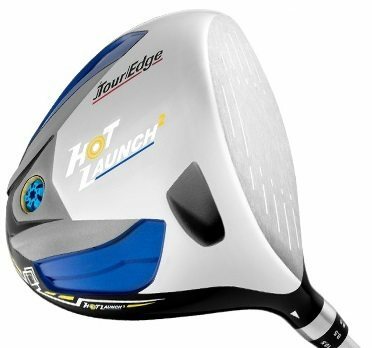 The biggest handicap drops I've seen in my group of 40 or so golf buds have come from introducing one club into the bag - a great driver like my top choice Tour Edge Hot Launch 2 which eliminates slices. I'll never forget my friend Hercules. Yes his name is really Hercules. ​Hercules ​dropped from a 19 handicap to a 9 in one year. All he did was get a driver he could hit straight and long. Let that sink in for a moment. The rest of his game fell into place over the course of the year just because he was in good positions off the tee. Before that, his only struggle was to be in play off the tee. Because his tee shots hurt him so much, he could never break 90. I remember the day he broke 90. I was playing with him and we won the betterball tournament by 10 points! He didn't just shoot 89, he shot 80! Every drive was center of the fairway, 260 yards. It was something to behold. I've never seen anyone with a bigger smile on their face at a golf course. And that was the day I realized when people tell you drivers are not important for beginners & high handicappers and working on the short game is the most important...they're wrong. Drivers have advanced so much in the last 20 years that big and straight bombs off the tee are accessible to everyone. They're easier to hit than ever but selecting the best driver for beginners and high handicappers can be confusing. I hope this guide helps you select the best, most forgiving driver possible. Tour Edge Golf has been producing equipment for 30 years and are refocusing on their original message of "Golf's Most Solid Investment". What's different about Tour Edge is they focus on making high quality clubs for an affordable price just without all the marketing hype. The Tour Edge Hot Launch 2 fits into that theme nicely. The Hot Launch 2 Draw is designed to help golfers with a slice. The club face is offset which means the face is actually a little bit behind the shaft, to allow the face to be square at impact instead of wide open. The club is loud and explosive which is going to benefit slower easy swingers. No matter where you hit it on the club face, it travels long and straight. All those mishits we get so used to are going to give you much better results with this driver. What you see is what you get with the Hot Launch 2 Draw. It's a high flying point-and-shoot. The ball launches high and carries longer. You might need to adjust your approach game because you're going to be pulling short irons into the greens after bombing it off the tee with this slice-remover. The other option in this range is the standard Hot Launch 2 (without offset). The head looks more traditional without the offset and the face is squared up to the hosel so the club has much less draw bias than the one above. For higher handicappers lucky enough to not slice the ball, this is a good choice of club. The ball flies off the face hot and distance is no problem. The loft can be changed in the non-offset High Launch 2 by detaching the shaft from the head and adjusting settings from 8.5° to 12.5° - perfect upper range for bogey golfers. Both these models are so well priced it's hard to find better value for a brand new driver. If you have a slice, I recommend the Hot Launch 2 Draw with 10.5°,12° or 14° with a regular flex shaft. If you don't like or need the offset and hit the ball straight enough, the Hot Launch 2 Standard driver is recommended with the ability to adjust lofts from 8.5° to 12.5°. Check your swing speed but generally we recommend the regular flex shafts for newer golfers. What we like most about the Tour Edge Hot Launch 2 is the price to performance ratio. This is going to be a home run for beginners and higher handicappers looking for a new club without cashing in the 401k to afford it. Even more impressive is you get a Lifetime Warranty with Tour Edge. Rickie Fowler has done a lot as Cobra's marketing tool on the Tour in the last few years to raise brand awareness. But Cobra's been in the game for ages. They've always been known to make drivers like the King F6 that maximize distance for the average Joe. Once you find the right settings for you, it's difficult to miss fairways and distance is one of the longest in the Game Improvement driver category. Some golfers report that even on toe hits the Cobra King F6 is out-driving their previous drivers. A pleasant pop sound at impact rounds off the show-stopping looks of the driver. You can easily adjust the loft of the F6 with the MyFly8 hosel between 9° and 12° in increments of 0.5°. What's more is you can also change the ball flight by switching the heavier weight on the sole to the front and the back. Putting the weight in the back will produce a higher ball flight while putting it in the front will lower it. I recommend the Cobra King F6 if you're looking for just plain straight distance without too many bells and whistles. Adjusting the lofts is simple and the weights are easy to use. Cobra eliminated the paradox of choice by giving us a set amount of settings. I suggest trying out the 10° to 12° settings on the range fitted with a regular shaft. The Exotic EX10 is a superb driver from Tour Edge. And the amazing thing is hardly anyone will know it. While everyone is raving about the Callaways and Taylormades, this one is slipping under the radar. Tour Edge Exotics are famous for their fairway woods which go long distances but they've created an amazing driver in the EX10. The EX 10 launches high and has very low spin numbers which means straighter shots with longer carry. Even on mishits, you'll be hitting the ball further and straighter. This driver is so forgiving. The adjustability of the EX10 is simple. You have one nine gram weight in the sole of the club while Tour Edge have a range of weights you can buy separately if you prefer a heavier or lighter feeling. The club comes in 10 degree and 12 degree versions. Both can be adjusted up or down 2° so the 12° is a good option for higher handicappers giving you the chance to play anywhere between 10° and 14°. The 12° Exotics﻿﻿﻿ ﻿﻿﻿EX10 ﻿﻿with a regular shaft is a perfect fit for high handicappers and beginners. The loft can be adjusted down to 10° and up to 14° which puts it in optimal loft ranges. Callaway is one of the top manufacturers on Tour and in the amateur ranks. Every release shows new innovation and cutting-edge technology to make golf a fun sport for anyone. And the Callaway XR 16 continues that tradition. This time Callaway paired up with Boeing to design the aerodynamics of the driver. The club head moves smoothly through the air producing more clubhead speed, in turn meaning more distance. The extra clubhead speed will add distance to your tee shots but even more exciting with the XR16 is that it's one of the most forgiving drivers on the market. Callaway used R.Moto Face Technology on the face, which is just a fancy way of saying the face is thinner than previous models. 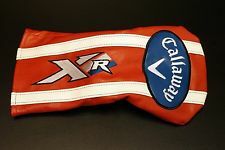 I highly recommend a 10.5° XR 16﻿﻿ with a regular shaft. The loft of the club can be adjusted by unscrewing the head from the shaft. The loft can be reduced to 9.5° and increased to 11.5° and 12.5° putting this driver perfectly within our loft range for high handicappers. Taylormade seems to release new clubs every third day. But that is great for golfers looking for equipment with recent technology. The prices plummet as soon as the new model comes out. And that's the case with the M2 from 2016. It's a great little club! ​The 2016 M2 is one of the best drivers Taylormade has ever created because it's a point-and-shoot forgiving bomber with only a few settings for loft. It's grip it and rip it with this club and that's perfect for golfers who don't want to fiddle with weights and settings. What's so simple about this driver is there are no adjustable weights. You can however adjust the loft of the club to get more or less height which is best for a high handicapper or beginner looking for more distance with higher ball flight. The sweet spot is huge on the M2 club face and even when you miss the center of the club face, the ball travels straight and carries LONG. The white crown is unique and the contrasting black and white really helps to align your club to the target. The looks might put some people off but that's the nature of innovation. If you like the white color on the crown, we think this is the best driver for beginners and high handicappers. The best options are the 10.5° Regular shaft and the 12° Regular shaft. The loft of the club can be adjusted so your 10.5° can be changed to 11.5 and 12.5° while the 12° version will be able to go up to 14°! That's perfect for beginners or high handicappers. What makes the best driver for beginners and high handicappers? What makes a driver forgiving? 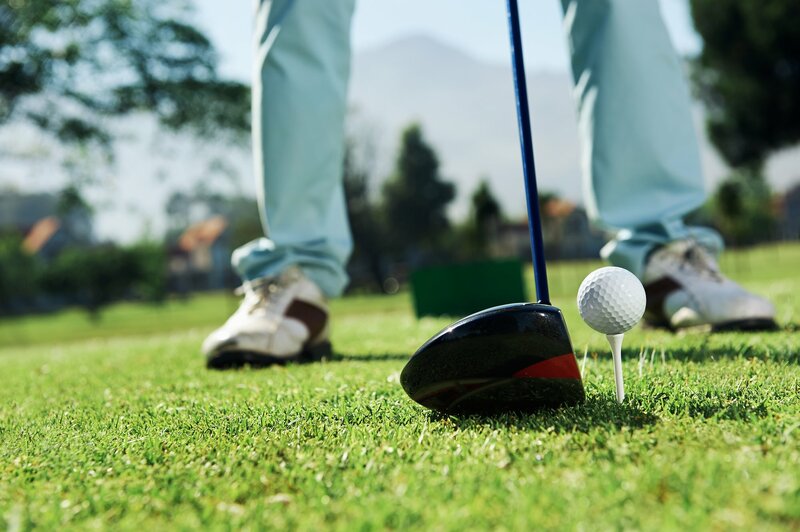 Forgiveness refers to how much or little a driver punishes a bad strike. If you miss the sweet spot of the club, there'll be a loss of distance and direction. Forgiving clubs lose much less distance and promote straighter ball flights on mishits than tour spec drivers. Luckily, modern drivers aimed at the casual golfer are the most forgiving ever made. Mishits are very common for new golfers. Older drivers used to punish mishits with pain in your fingers, shots that went nowhere and lost balls. Mishits now go further and straighter than ever before making it easier to find the best driver for beginners and high handicaps. A driver has the lowest loft in the bag. Automatically that makes it harder to hit in the air and keep straight. An easy analogy is the difference between a 3 iron and a 9 iron. The 3 iron (24° loft) is difficult to control while a 9 iron (44° loft) is very easy to hit high and straight due to higher loft. Pros use lower lofted drivers (7°-10°) and because their swings speeds are incredibly fast (110+mph), they are able to get the ball flying 280+ yards. Amateurs generally swing at 80-90 mph and require much more loft to make up for the slower swing speed. The additional loft also creates more back-spin which prevents too much movement left or right in the air. The shaft is the most important part of the driver. It will determine how the ball flies through the air and consistency of your shots. Shafts in the driver are all graphite now and steel is used only in irons and putters. In general, beginners’ swing speeds are between 80 and 90mph so we recommend a Regular ( R ) flex shaft to help promote a straighter, consistent ball flight. Nowadays, all drivers’ heads are between 440 and 460 cubic centimeters (cc). This has increased the club face size and with it, the sweet spot. It is always advisable for newer golfers to go with a 460cc driver head because well, it’s the maximum! In the latest drivers there are weights attached to the sole of the club head that can be adjusted by sliding them around into different positions to alter the shape of the shot. This technology sounds good, but it can be highly confusing for a new player to grasp all the combinations and effects on center of gravity and MOI and all the other jargon terms used to market the clubs. We don’t recommend these expensive drivers for new golfers. On the other hand there are weights that can be replaced or moved to fixed locations which are much easier to play. For the purpose of this guide, which is to find you a simple-to-hit and forgiving driver, this is the technology that can help you most. Some of the recommendations here have this technology. The shafts can be unscrewed from the head and rotated to increase or decrease the loft of the driver from 9° to 14°. This is very valuable tech for a new player to adjust the loft to their preferred number. It's tempting to think the clubs the pros play on TV are the ones we should be playing. There is a massive difference between pros and amateur golfers so there is no shame in playing different clubs to the guys who do it for a living. Play what works for you. That could be a used club from the junk store or it could be the latest Titleist 8.5° monstrosity. I hope this guide was useful and if you decide to get a driver to take your game to the next level, always have it fit with a shaft by a professional club fitter to fully maximize its potential. It can literally change your life. wonderful comments and a lot of wisdom in them. On drivers let me add one variable that was worth for me. I am 59, I begun playing golf at 51 when I had to leave tennis for a very bad achilles tendon. I am playing now 17 and my best was 15 two years ago. My clubhead speed is between 78 and 83 Mph so I think I am perfectly in your window. Last year I ranked second in a series of matches and I did win a voucher worth 350€ in a local shop so I did decide to trade in my XR16 driver and after long testing I decided to go for the BB Fusion driver set at 12,5°. I had two options for the shaft length: 45,5″ and 44,5″ being both standard for Callaway. To cut the story short, with the longer I had few shots longer but with the shorter I was hitting the ball 80% of the time in the center of the sweetspot. My suggestion is to look for the shorter shaft possible since it will cost some meters but will add a lot more of reliability. Pls go on with your comments and suggestions; I am really enjoying them. I asked the same thing about drivers, except I wanted something on the cheaper end, as I hoped I would eventually get good enough and knowledgeable enough to justify buying a nicer driver a couple years down the road (happy to say I’m progressing there – hence reading this article and similar ones to see what to get next). They recommended the Adams Blue 10.5 degree (https://www.amazon.com/Adams-Golf-M2656309-Driver-Graphite/dp/B00UWZHOEI), which was on sale for $99. The club head looked nice and big (basically all I “knew” was that bigger club heads meant easier to hit), and the price was right, so I took it. Haven’t seen it mentioned much in the “best drivers for high handicappers” articles I’ve been reading though – curious to hear your thoughts on it if you have time.